Shimenawa is a sacred rope with white paper. The rope made from rice straw or hemp is called nawa. The pieces of white paper that are cut into strips and hung from these ropes are called shime. They symbolize purity in the Shinto faith. 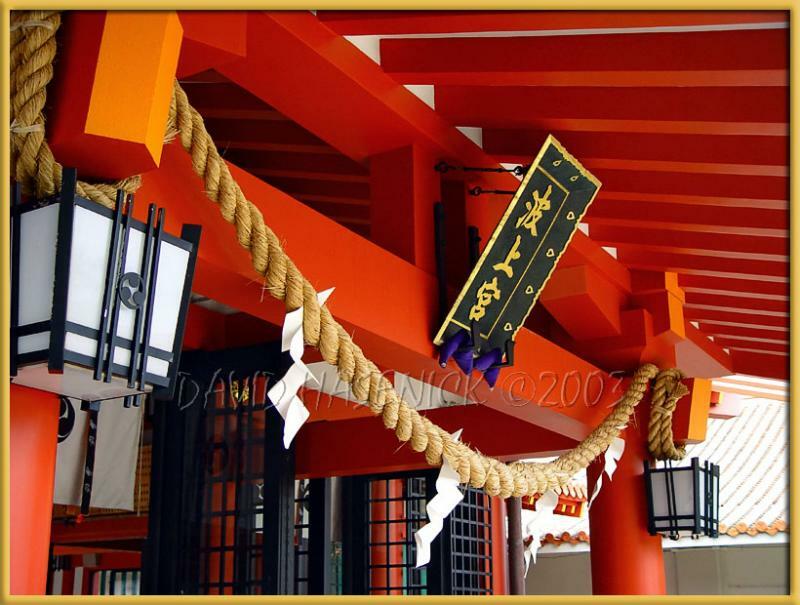 The Shimenawa is placed at the shrine entrance to ward off evil spirits.